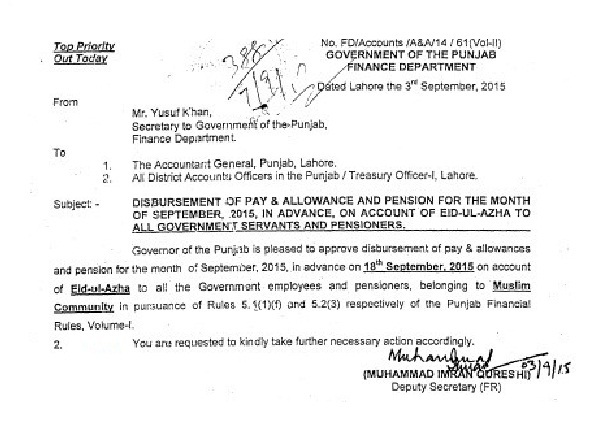 Lahore (Wednesday, September 16, 2015) – Government of Punjab, Finance Department has issued Notification regarding “Disbursement of pay & Allowance and pension for the month of September, 2015 in advance on account of Eid ul Azha to all Government Servants and pensioners”. This circular issued on 3rd September, 2015. These salaries and Pensions will be given on September 18th, 2015 (Friday).